A Red Lodge Clay Center favorite, David Crane will share new works from his richly influenced sources with our audience in February. 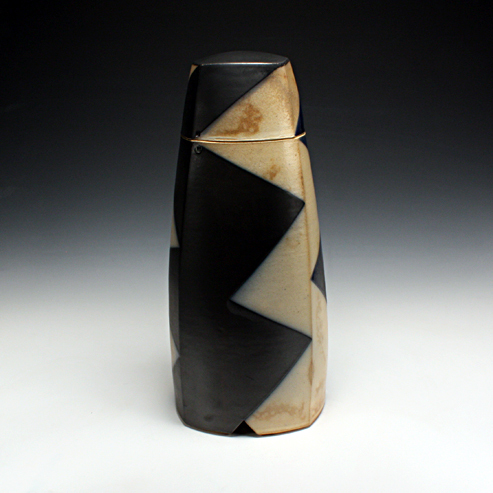 “My ceramic work is part of the functional pottery tradition. The ideas in the work draw from ceramic and art precedents from a wide and diverse range of cultural aesthetics, regions, and periods. The historic cultural traditions of China, Japan, Europe, Native American along with 19th and 20th Century American art are all strong influences. More specifically the ceramic techniques and aesthetics of Song Dynasty Chinese, Oribe and Contemporary Japanese, Medieval and Contemporary English, Southwest Native American pottery and weaving, and Mission Style from the late 19th & early 20th Century Arts & Crafts Movement are of great interest. Without a doubt modern ceramics, sculpture and painting have also been a great influence and an inspiration. “Along with these artistic references is the inescapable influence of the human form and that of landscape and environment. Pottery at its heart refers to the human scale through utilitarian form. However, the influences of landscape are often reflected in forms, colors and surfaces selected for use in the ceramics. My work reflects the experience of two very different environments, the Appalachian Mountains and the desert and mountains of the American Southwest.